Take the guess work out of finding studs and beams using the Precision Sensors Professional Stud Finder Profinder 5000. I bought this stud finder because the old Stanley digital stud finder I had didn’t give me a good enough indication of objects behind my wall. Sometimes I would drill and realize there was nothing there but drywall! 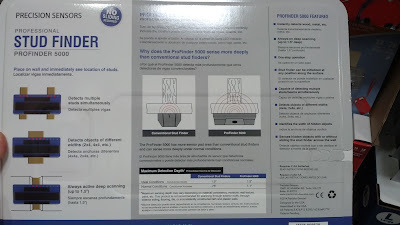 I got fed up with this and opted for the Precision Sensors Professional Stud Finder Profinder 5000. This thing is wide enough that it can detect multiple studs at the same time. It even shows you the width of the stud. I like the fact that you don’t have to slide the finder along the wall thanks to the always-on deep scanning technology. This helps in making DIY work go quick and easy. 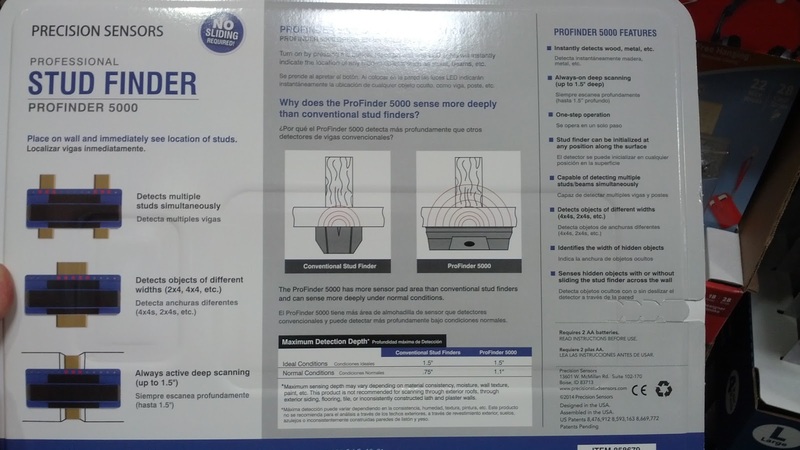 Precision Sensors Professional Stud Finder Profinder 5000 – Deep Scanning. 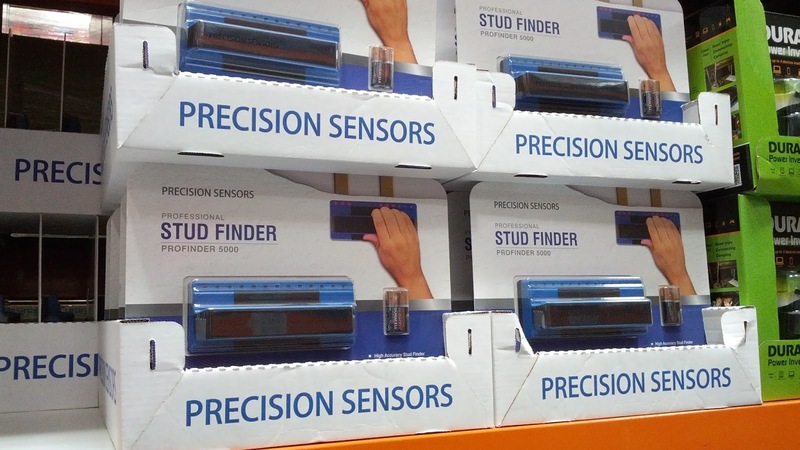 Precision Sensors Professional Stud Finder Profinder 5000 – Detects objects of multiple widths. 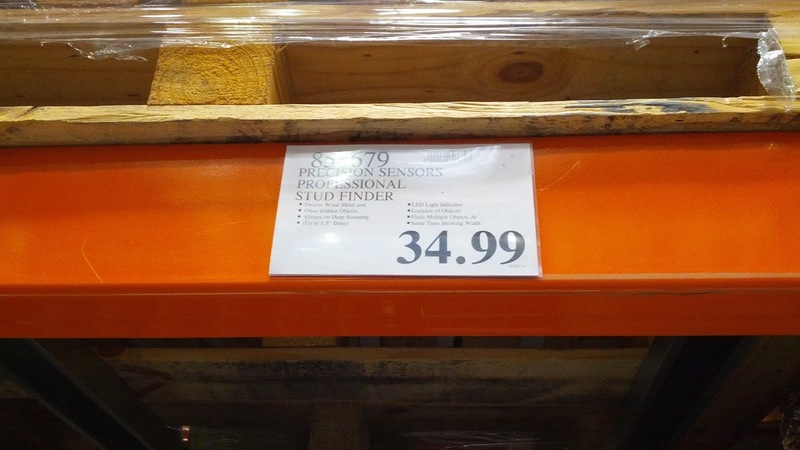 Precision Sensors Professional Stud Finder Profinder 5000 – Instantly detects wood, metal, etc. The always-on deep scanning detects objects up to 1.5” into the wall. Stud finder can be initialized at any position along the surface. Capable of detecting multiple studs/beams simultaneously. Detects objects of varying lengths (4x4s, 2x4s, etc). Able to identify the width of objects. No sliding required.